Just in case you haven’t heard, Galveston, Texas is more than just a cruise ship port city. To be sure there are some fabulous cruises that sail from this wonderful Texas coastal city. Carnival has two ships (Carnival Magic and Carnival Triumph) that sail from the Island year round. Royal Caribbean has The Mariner of the Seas that does seasonal cruises and beginning this Fall both Princess (Crown Princess) and Disney (Disney Magic)will be bring ships to the Port of Galveston. In fact, Texas Cruise and Travel has blocked space on the Crown Princess and we can help you plan a cruise vacation on any of these ships. But, like I said, Galveston, Texas is more than just a cruise port city. It is a great destination in its own right. There are plenty of great hotels like the historic Galvez and the fabulous San Luis as well as the Moody Gardens Hotel. There are accommodations to meet your every need from drive up motels to grand hotels. People living in Texas know that Galveston is the place to go for some of the finest dining to be found anywhere along the on the Gulf Coast. Restaurants abound on the Island with some of the finest situated along the Island’s famous seawall or near the historic Strand district. One restaurant that is a must for visitors and natives alike is Gaido’s Seafood Restaurant. Gaido's has been a Galveston landmark since 1911 and offers some of the finest seafood on the entire Gulf Coast. The question that I am usually asked is, “But what is there to do there?” Where do I start? First there are all the things that people on islands do. There is plenty of fishing, boating, beaches and other water activities. Just about anything you find on a Caribbean Island you'll find in Galveston and a whole lot more. There is Moody Gardens with its pyramid shaped Aquarium, Tropical Rain Forest, Discovery Pyramid, 3D & 4D Imax style theaters, golf and much more. You can stroll through the historic Stand District and spend the day at the soon to open world class Pleasure Pier. Then there are the annual special events such as Dickens on the Strand, Madi Gras and just a whole year of fun stuff . . . all that are family appropriate. 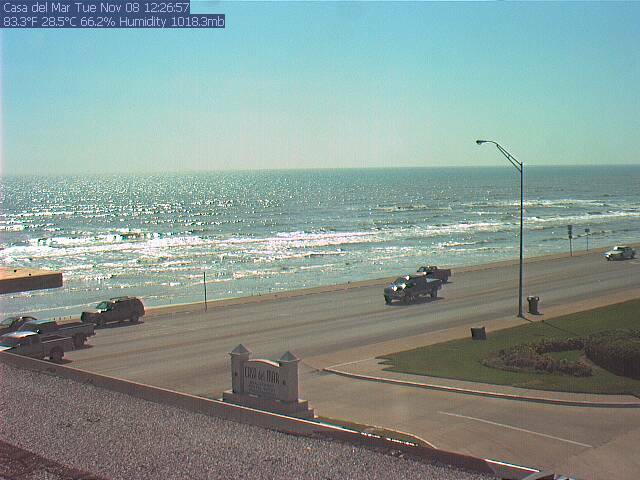 Truth is, Galveston Island is a great family vacation destination. There is something there for the whole family. 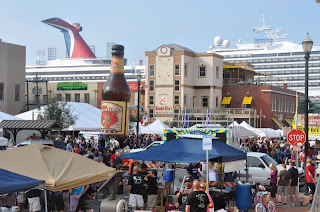 So even if you are going on an exciting cruise vacation on one of the fabulous cruise ships be sure and arrive a few days early and discover historic Galveston Island. By the way, did you know that Galveston was once the headquarters for the famous pirate Jean Layette? 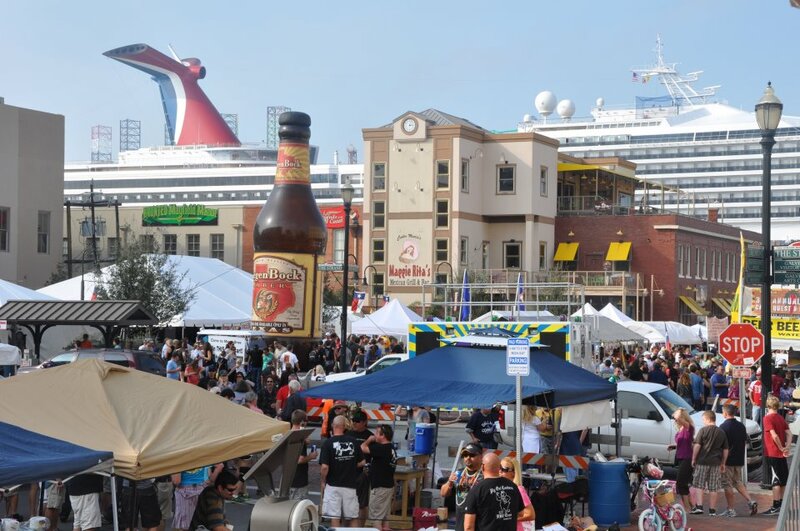 For a complete calendar of events and fun opportunities visit the Galveston Island Tourism website. Like I said, there is more to Galveston Island than just sand and surf. Check it out. Are You and Your Trip Protected? Recent events with the Cruise ship “Costa Concordia” has brought the risk we takes when traveling on vacation to the forefront of our thinking. We've all read about the tragic impact this event has had on the lives of the passengers and their families. However, some of those passengers will be affected more than others because some opted not to insure their vacation. These kinds of risks, while they cannot be totally eliminated, can be planned for. The answer is insurance. Yes, I said insurance. You may not be aware that you can insure your trip but you can. Sadly, about 50% of the time people offered the opportunity to do so opt not to buy it. So they invest thousands of dollars in a trip and then reject the security of insuring their trip because it cost a couple hundred more. I believe most of the time when this happens it does so because people don’t really believe they will need it. However, the simple truth is . . . they do! Medical Emergencies do occur and they do so at ALL ages. When you have a health emergency outside the United States, you could be left to pay for everything out of pocket -- even if your insurance might provide some reimbursement. Medicare and most insurance does not pay for healthcare outside of the United States, so while your dusting-off your passport (you do need a passport if traveling to a foreign country) and planning that trip, it's good to know what you and your trip are protected. An emergency health care event requiring hospitalization and medical evacuation can cost up to $100,000. In fact, in most such cases the only way you can get discharged is if the local medical/hospital cost are paid prior to any evacuation. The U.S. State Department recommends travelers contact their health insurers to find out about coverage ahead of time. By the way, don't expect to use your insurance card as you do at home. For those with coverage, it is likely to be a percentage reimbursement and they will not pay directly the service provider . . . that will come out of your pocket. Truth is, there are very few places you can travel that would warrant not having medical and evacuation insurance. There are a few places like Sweden where they have an excellent, socialized medical care so health cost will be free there. Anywhere else you'll need the insurance . . . so why take a chance? The State Department maintains lists on its website of companies that provide medical evacuations as well as insurance to cover such a potentially costly endeavor. Your travel Agent (another reason to use a Travel Agent) can recommend a good Travel Insurance company. We recommend Travel Safe but there are other companies such as International SOS, and Travel Guard. I believe the Department of State has a longer list of companies on their website that can be safely used. These same companies also provide resources in the event your trip cancels or is interrupted for any qualified reason. Some even cover cancellation for any reason. 1. First and foremost check with your healthcare insurance provider and get the facts in writing about what they will and will not pay if you become ill or injured while in a foreign country. If they do pay, find out if they pay directly to the suppliers or do they require you to pay upfront and then they will reimburse. 2. 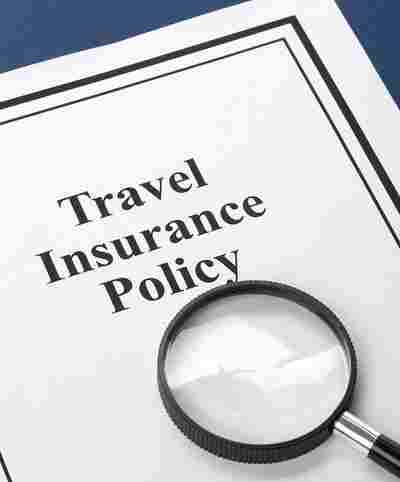 Does the policy cover emergency expenses while abroad and if so what kind? 3. If your overseas emergency requires returning to the USA for treatment will the insurance cover the cost of evacuation? 4. Will the insurance cover you if you are engaged in “high risk” activities such as zip-lines, parasailing, hiking and climbing, off-road driving, and accident in general. 5. Be sure and ask about coverage for pre-existing conditions. 6. Are payments guaranteed and does the insurance pay directly to doctors, hospitals and other service providers or do they simply reimburse you for out of pocket expenses. 7. Do they have a 24/7 support center that can help you with arrangements. So, before you say no and sign the insurance waiver make sure you have counted the cost and evaluated the position you will find yourself in should you become seriously ill or injured. I suggest, no, I highly recommend that you insure your trip and when you do make sure it includes healthcare and evacuation coverage as well as cancellation or trip-interruption coverage. It will give you one more reason to enjoy your vacation fully. Anyone who hasn't heard of the tragic events of the coast of Italy concerning the Costa cruise ship Concordia must be living in a cave. The cause of the accident is still under investigation and so we will reserve judgment as to where the blame for this terrible event lies. Our heart goes out to all those affected by the Costa Concordia tragedy this weekend - passengers, crew and their loved ones. However, I do want to point out that the kind of tragic accident such as the one involving Costa's Concordia is rare. According to the U.S. Coast Guard, cruising is one of the safest modes of transportation and they are continually working to improve safety for its passengers. So, as tragic as the Concordia accident is, we need to view it in its proper perspective. Last year nearly 20 million people worldwide enjoyed a wonderful and safe cruise experience. According to CLIA (Cruise Line International Association) more than 90 million people have enjoyed a cruise vacation since 1991. Couple this with the fact that on any given week nearly a half million people are sailing on one of the world’s 456 cruise ships. According to the CLIA the cruise industry places the highest priority on the safety and security of its passengers and crew and has an excellent safety record. Cruise lines go to great length to ensure that both passengers and crew are safe. The last thing they want is for an accident like the one the Concordia experienced to occur. To ensure compliance all these rules the Coast Guard examines each new cruise vessel when it first enters service at a U.S. port. After that these vessels are subject to quarterly Coast Guard inspections. These examinations stress structural, fire safety and proper life-saving equipment. They also, observe the crew conduct fire and abandon ship drills. Close attention is given such key equipment as steering systems, fire pumps and bilge pumps. The Coast Guard also closely examines the vessels and their operation for compliance with both international and U.S. environmental laws and regulations and has the authority to require correction of any deficiencies before allowing a ship to take on passengers at any U.S. port. It should also be noted that the Center for Disease Control conducts regular inspections of all cruise ships that visit U.S. ports. Our travel business is largely sustained by repeat clients and so we too have as a high priority our client’s safety (not to mention our own when we cruise). We want to be sure our cruise clients experience a safe and satisfying cruise experience and that everything about their cruise goes off without a hitch. We strongly advise our clients to heed all passenger preparedness drills in the event of an emergency. The Texas Hill Country's Best Kept Secret. 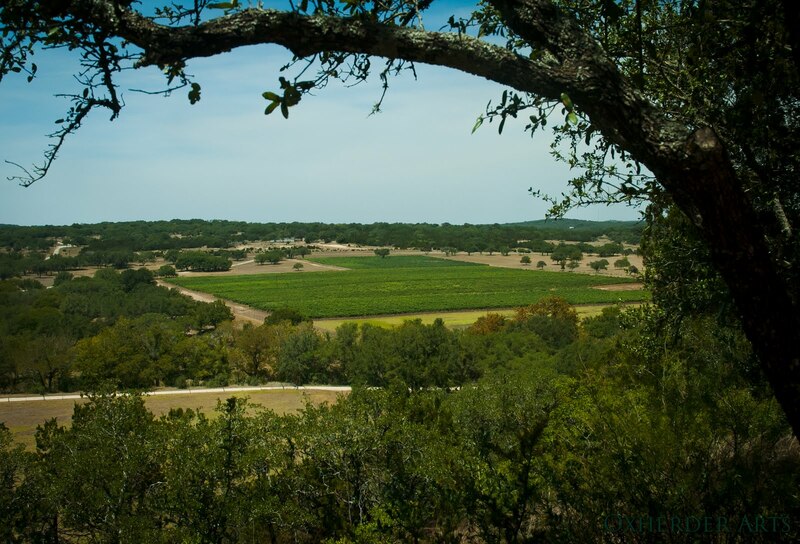 Today I want to introduce you to one of the Texas Hill County's best kept secrets and that is the Driftwood Estate Winery owned and operated by Gary Elliott. Founded in 1998 and located on 20 acres in the beautiful Texas Hill Country just off Ranch Road 12 about halfway between Wimberly and Dripping Springs is a great weekend trip. The facility is nice but the view from the tasting room and Pavilion is nothing short of breath-taking. The property is absolutely incredible with one of the best views in the Hill Country. It is especially breathe taking on a clear day as the sun sets behind the vineyard. It is a must stop on every trip I make to the Austin, Texas area. 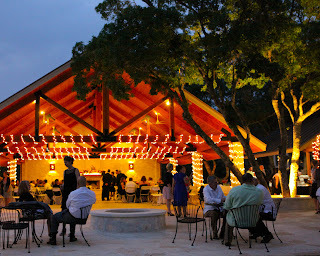 The spacious grounds and the outdoor pavilion make it a perfect venue for weddings, private parties or just a simple picnic lunch with some good friends and a bottle of one of Driftwood's 14 wines (11 are medal winners). A trip to Driftwood makes for a terrific end of day experience for couples and families. As for the wines, my personal favorite wine is the Alamo Red but I wouldn't pass up the Merlot or the Longhorn Red. They also have a quiet nice Sangiovese. While available in a limited way in a number local stores and restaurants you really need to visit the winery to fully appreciate this Hill Country treasure. There is a great interview with Gary Elliott on the goodtastetv website. I recommend you give it a look. I also recommend that if your looking for something close to home and not too expensive that you spend a weekend in either Wimberly or Dripping Springs in the Texas Hill Country and while there take an evening to visit the Driftwood Estate Winery.